The Pettifor Trust raises funds to send donations to local animal sanctuaries across South Wales making sure they have a better chance at living. 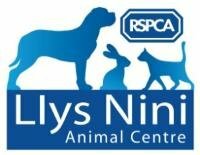 We donate to well-known charities like RSPCA-Llys Nini, Dogs Trust, Greyhound Rescue, Guide Dogs and many more. We also rely on funds raised by our shops and supporters to be able to help animal sanctuaries purchase specific food or equipment that is needed. The Trust also helps many poeple by helping with private veterinary bills to help animals in need that are unable to get the help they need and deserve.